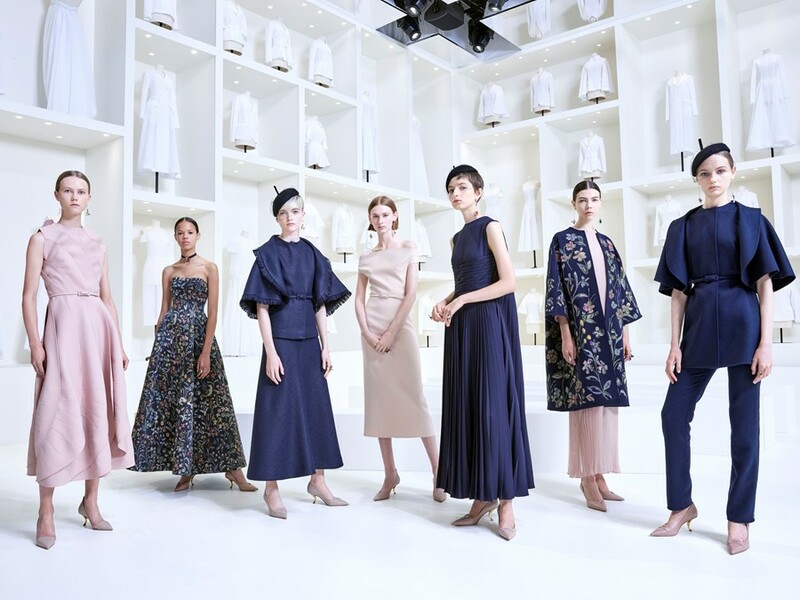 At Dior’s Haute Couture AW18 show, audiences were shown a minimalist but deceivingly-artisanal collection. Now, in an exclusive film, designer Maria Grazia Chiuri reveals her methodology. Situated within a white cube set in the gardens of Paris’s Musée Rodin, the show’s set paired floor-to-ceiling toile displays borrowed from the Designer of Dreams exhibition with a mirrored ceiling to visually amplify the many designs and iterations that go into a couture collection. “We used the toile from the entire collection because we wanted to show what’s behind the couture, how it looks at the beginning,” the designer explains. She discusses couture in the context of today, questioning how it can be understood by consumers accustomed to fast fashion. “In the now, how (is best) to speak to an audience that need to understand that in Haute Couture that you need to do several fittings, that you need to wait, that there is beauty in waiting?” she asks. The answer, she suggests, involves the unique relationship couture has to the body of the wearer; how clothes crafted over such long periods of time “speak of something very subtle, a lot more personal,” that would be impossible to achieve on a mass scale.